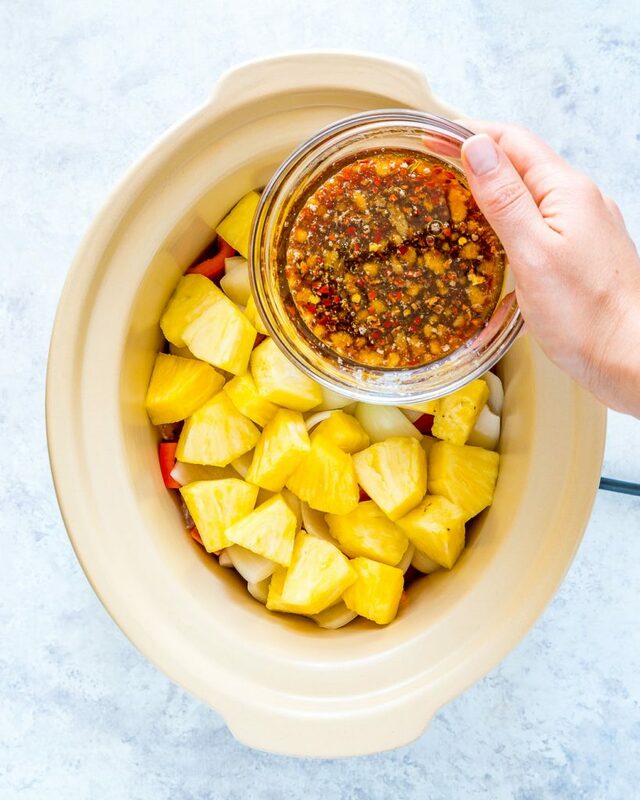 Slow Cooker Hawaiian Pineapple Chicken is a Quick Clean Eating Win! Flavor on Flavor! 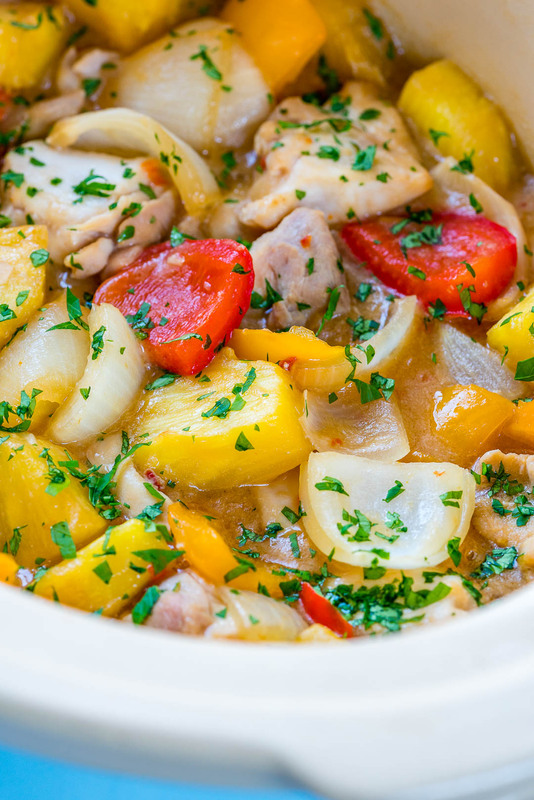 Throw it together…come home to an absolutely delicious dinner! 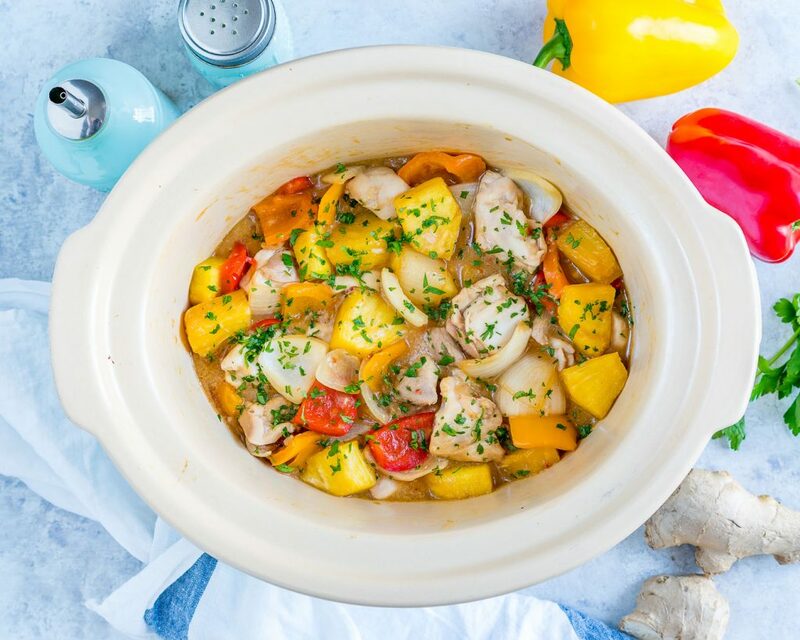 Place the chicken to the bottom of the slow cooker. Add in the bell pepper, pineapple and onion. In a small bowl mix the oil, honey, coconut aminos liquid, chili flakes, grated ginger and garlic. Pour this mixture in the slow cooker, then gently mix to combine. Cover and cook on LOW for about 5-6 hours or on HIGH for 3-4 hours. 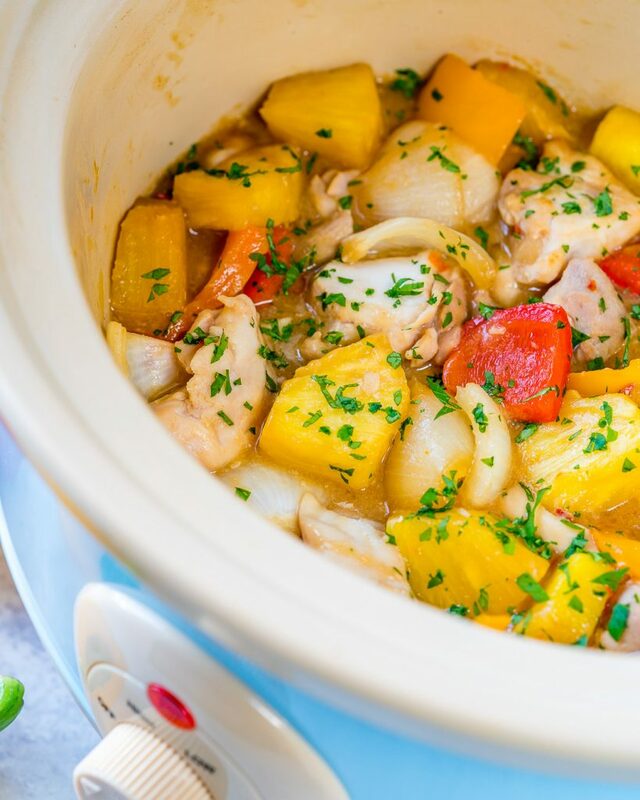 Add the cornstarch/potato starch to a Tbsp of water, mix, and add to the slow cooker, stir well to combine and cook for an additional 20 minutes. Garnish with fresh chopped parsley and serve with cooked brown rice. Enjoy! 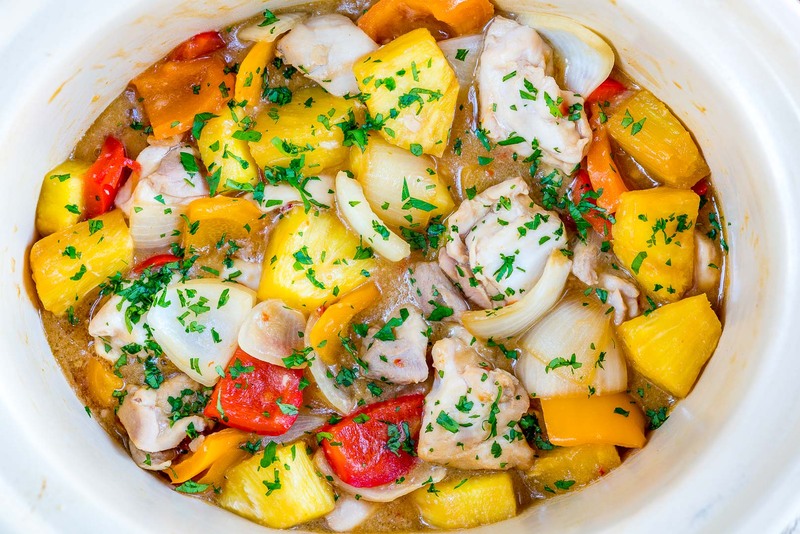 1 red, orange yellow bell pepper , cut into 1"
Add the cornstarch/potato starch to a Tbsp of water, mix, and addto the slow cooker, stir well to combine and cook for an additional 20 minutes.